Hezbon was born and raised in Sega. He is a high school teacher and livestock farmer. He began teaching English and Literature at Sega Girls High School in 2004 and today heads the Language Department. In addition to a demanding job and raising a young family, he has taken on many community service roles. He has served as Secretary of the Sega Community Development Program, a body that oversees all of the projects in Sega, and was a pioneer board member of the Sega Dispensary Management Committee, whose challenging job was to ensure that the Dispensary – the only public health facility in Sega – was built and started functioning. In addition to his participation on goal4.org Advisory Board, Hezbon is the co-editor of Beta Bells, a magazine about the issues and opportunities for education in Kenya, and is a member of the Siaya County scholarship award committee. Through his efforts, many needy students have gotten scholarships. 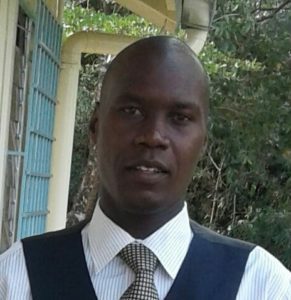 Hezbon received a Bachelor’s Degree in English Literature and History from Kenyatta University, a Post Graduate Diploma in Education from Maseno University, and a Masters of Education in Sociology and Policy Studies from Kenyatta University. His hope for his community is for accelerated progress toward better education for Sega’s children and better healthcare for all of Sega’s citizens. Emilly was born and raised in western Kenya, in a region not far from Sega. She is a teacher and a farmer. Teaching for 27 years, she started in the classroom in 1986 and now holds the position of head teacher at Ugambe primary school. In 2012 she returned to college to get a diploma in Special Needs Education so she could be more effective in helping children with disabilities and other special needs. 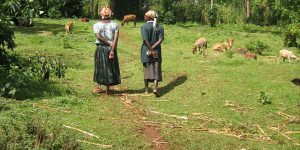 The loss of her husband left Emily in the socially and economically vulnerable position of a widow in rural Kenya. In 2015, she founded and now leads the Sega Widows Group, a community-based organization dedicated to widows supporting each other, and also, to helping orphans and abused children in the community. The group is currently raising funds to create and run a rescue center where Sega’s orphans and abused children can live, learn, and be cared for. Emilly received her teaching diploma in 1986 from Saint Mark Kigari Teachers College and a diploma in Special Needs Education in 2014 from the Kenya Institute of Special Education. Her hopes for Sega are to see the issues of drug use and alcoholism release their grip on the youth and to build a community where people are self-reliant and healthy. Caroline is Community Health Worker and farmer. Her community health work is a volunteer role where she serves as an interface between her neighbors and the health system. She is responsible for about 100 households, going door-to-door with health education and support that’s aimed at preventing the most common illnesses. 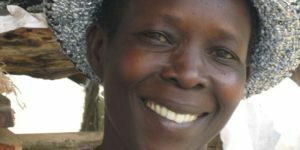 She supplements her farm earnings with stipends she receives for work on short-term health projects such as family planning and an alert system that reminds mothers of prenatal and postnatal appointments. Caroline is a skilled community mobilizer and teen mentor. She is particularly interested in working with adolescent girls, helping them navigate the challenges of health, education, and developing into strong, compassionate, and successful women. She has worked on projects with goal4.org since 2011, joining the Advisory Board in 2017. She works with the Kenya Conference of Catholic Bishops as a teen mentor and is a member of two women’s savings groups that provide small loans to members and pool savings to invest in a group-owned poultry business. Caroline’s hopes for Sega are broad and clear. She hopes that Sega’s public health facility will offer a greater range of services at affordable prices, that rural schools receive the resources to offer education that is on par with urban areas, that the issues of maternal health and HIV/AIDS awareness be taken seriously and reach everyone, and that better farming strategies are taught and made available so that food production can be increased and hunger reduced. 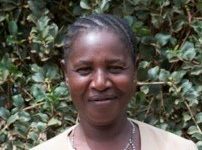 Salome is Community Health Worker and farmer. Her community health work is a volunteer role where she serves as an interface between her neighbors and the health system. She is responsible for about 100 households, going door-to-door with health education and support that’s aimed at preventing the most common illnesses. She is also often employed by local organizations on projects such as family planning, home-based HIV counseling and testing, and the prevention of mother-to-child transmission of AIDS. Salome is a community organizer, a trusted influencer, and confident spokesperson for maternal and child health. She has worked on projects with goal4.org since 2011, joining the Advisory Board in 2017. She is a member of the Sega Community Development Program, a body that oversees all of the projects in Sega, a member of the Nyamosmos Women’s Group that cares for orphans and carries out community farming projects, and a member of two women’s microfinance groups. Her dream is to see a day where the women of Sega having a maternity facility where they can give birth safely – an affordable, high-quality facility that has advanced, life-saving services like ultrasound. Rabin is the nursing officer in charge Sega Dispensary, the only public (free) health facility in Sega. He manages the facility, coordinates all health services, sees patients, and is responsible for community health. He was recruited to Sega to help develop and grow the Dispensary’s maternity service, including promoting the service to mothers in the community. In his past job, at a similar small, rural dispensary, he did just that – improved the maternity services and influenced a shift in the number of women who give birth at the health facility rather than at home. He is a skilled mentor, manager, and communicator. Rabin holds a diploma in Community Health Nursing and Midwifery. He continues to improve his knowledge and skills at every opportunity, attending health training seminars whenever they are offered. His dream is to play a leading role in developing high-quality healthcare services in the region that are available to everyone, regardless of their ability to pay. Gabriel was born and raised in western Kenya, in a region not far from Sega. He is a farmer and entrepreneur. He spent his career in accounting, working for a number of companies including Isuzu and General Motors. Throughout his career, with his savings, he bought land and built rental houses to supplement his income and ensure that his children could get a good education. When he retired in 1988, he founded Gabmar Agencies, a company that supplies furniture to Kenyan colleges. He continues today as the Managing Director of the company. In addition to his participation on the goal4.org Advisory Board, Gabriel is an active member of the Sega Community Development Program, a body that oversees all of the projects in Sega. His passions center on youth and health. He dedicates time to raising funds to help young people further their studies, and has served as the Vice Chairperson of the Sega Dispensary Management Committee. Gabriel hopes for a future where Sega’s youth have better education and more opportunities and Sega’s medical facility can offer the entire community quality medical services. Dismas is a dairy farmer and respected elder with a passion for community development. In his early career, he was a printer for the government press and a church teacher. After becoming a qualified printer, he supervised the printing department at the Kenya Bureau of Standards until he retired in 2005. During that time, he had the pleasure of attending a seminar and world exhibition of printing in Dusseldorf, Germany. Always an active leader in the community, he has served as the chair of multiple welfare organizations, the Sega Township Primary School, the Sega Community Development Program, and several church based groups. Today, he continues his community work, sits on the goal4.org Advisory Board, and is the director of Watemie Investments, a co-operative that assists members through saving, investments and group purchasing power. Dismus received his diploma in printing from Kenya Polytechnic Institute in 1979. His hopes for the community: to become more economically self-reliant – with more opportunity for families to earn, save, educate each child, and feed each family member. His dream is for Sega to be a place where everyone has their basic needs met for a life of health and peace. Albert has worked in education throughout his professional career. He began as a classroom teacher, later rose to the position of headmaster, then Approved Graduate Teacher. He went on to become an inspector of schools in Uganda and Kenya. He was born and raised in western Kenya where now, in retirement, he dedicates his time and skills to supporting local schools and community organizations. Albert received his diploma in Education from Kijabe College and has attended professional training in human resource management. In addition to his participation on the goal4.org Advisory Board, he is a member of several other boards and community organizations. His greatest hopes are to improve the quality of education for students in rural areas like Sega and the quality of health services for all members of the community. Thadeus was born and raised Sega. He has been a farmer all of his life and until becoming Assistant Chief in 1995, he was a self-employed carpenter. Today, his work centers on reducing poverty and creating a better future for his community. He is an advocate for programs that support farmers through education, improved farming techniques, and access to supplies. He promotes the formation of community groups who, by working together, can become more self-reliant. And he is an outspoken champion of women and children’s health. Beyond the borders of Sega, he collaborates with administrators from other communities to ensure the success of cross-community development projects. Thadeus is involved with many community organizations. In addition to his participation on the goal4.org Advisory Board, he leads the Sega Community Development Program, a body that oversees all of the projects in Sega; he is a member of the Kupa Women’s Group that supports orphans and vulnerable children with funds raised through a soy bean processing service; he is engaged with the One Acre Fund project that teaches farmers new farming techniques and provides resources like seeds and fertilizers; and many more. His dream for Sega is to eliminate poverty and grow literacy before his term as Assistant Chief ends. Nick is a software developer with Beyonic, a financial technology company that provides an online system to allow organizations to make bulk payments to employees in remote areas using mobile banking. Prior to Beyonic, he developed web and mobile applications for CodeForAfrica, Open Institute, and Code4Kenya. Nick has received numerous awards for his innovative work. He was a finalist in the Google Apps Challenge, a winner of Ericsson’s Apps for African City Life award, a recipient of the Young Innovators Fellowship, awarded at the World ITU conference in Geneva, Switzerland, and the winner of Best Mobile Application in the Kipokezi Hackathon Challenge. Nick was born and raised in the western region of Kenya where goal4.org works. He attended Moi University where he studied chemical engineering. Nick founded and runs 501code.org, a non-profit that connects tech-savvy volunteers to non-profits. In his spare time, he studies and experiments with artificial intelligence. Colm is a technical project manager on Google’s robotics team. Throughout his career, he has specialized in large-scale, multi-national telecommunications projects, in both the non-profit and for-profit sectors. At Inveneo, a non-profit social enterprise that delivers low-powered networks to rural Africa, Colm participated in the post-earthquake response effort in Haiti, supporting the field team as they set up emergency communications for first-responders in the field. Prior to a decade managing non-profit projects, Colm managed global telecommunications projects for Ericsson in Ireland, Saudi Arabia, Sweden, Botswana, Macau, Canada, and the USA. He helped establish Ericsson’s US presence, building the technical support organization and managing the build-out of Ericsson’s US network. Colm holds a degree in Mathematics & Electronics from Kevin Street College of Technology in Dublin, Ireland. 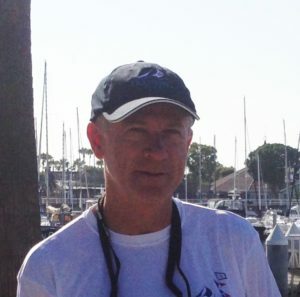 He is a member of the Rotary Club in San Francisco, serves on the board of Blue Water Foundation, and is a leader and trainer for the Scout Association of Ireland. Jacqueline is an assistant professor at Touro University California School of Nursing where she teaches graduate courses on nursing leadership, evidence-based practice & informatics, healthcare policy and ethics, epidemiology, and population statistics. Prior to arriving at the school of nursing, she worked 24 years as a nurse anesthetist at Highland Hospital in Oakland and Kaiser Permanente. Jacqueline is passionate about the profession of nursing and its potential impact on doing good. She holds a Ph.D. in Nursing Science and Health Care Leadership, a Juris Doctorate degree, a Master of Science in Health Informatics, a Master of Science in Nurse Anesthesia, and a Bachelor of Science in Nursing. Jacqueline led a collaboration with a local school district, pairing nursing students as mentors and role models to high school students in the health academies. She served on the board of directors of the California Association of Nurse Anesthetists where she advocated on both the state and national levels for improved patient safety and increased access to high-quality patient care. Ann is the director of the School of Nursing at Touro University California and was the architect of the degree program at the newly opened school before stepping in as the administrator. Her passion to help vulnerable populations was solidified through serving as a county public health nurse and a school nurse before moving into nursing education at Sacramento State University. There, Ann’s teaching expanded to leadership roles where she was instrumental in creating new nursing programs and helped lead the planning and fundraising for a new state-of- the art facility for the nursing school. Ann holds a Ph.D. in Educational Psychology, a Master of Science in Nursing and Bachelor of Science in Nursing. In her community, Ann developed and supervises a nurse-run health clinic at local “feed the hungry” dinners. She has served the nursing profession for years, having held roles as president of the California Association of Colleges of Nursing, chair of the Coalition of School Nurse Educators, and chair of the Association of California Nurse Leader’s Leadership Committee. Piper is the founder and executive director of goal4.org. She was a communications professional in the high tech industry for 15 years, the last 11 years at Cisco Systems. Her retirement in 2011 marked a long-planned transition from the private sector to the non-profit sector. Since 2011 she has been developing and overseeing goal4.org projects in Kenya and working as a consultant to non-profit organizations in the US. In 2001, she co-founded Winters Broadband, a wireless internet service provider that continues to deliver broadband to the rural, central valley of California today. Prior to her move into corporate communications, Piper was a linguist and educator with a specialty in intercultural communications. She held roles as a lecturer at U.C. Berkeley, the director of an adult language school, and as a language instructor in the United States and Switzerland. Piper holds a Master of Arts in Linguistics, a Bachelor of Arts in Social Sciences, and a Diplôme d’études Françaises from the University of Geneva, Switzerland. Piper is an active member of Soroptimist International, an organization dedicated to improving the lives of women and girls through social and economic empowerment.